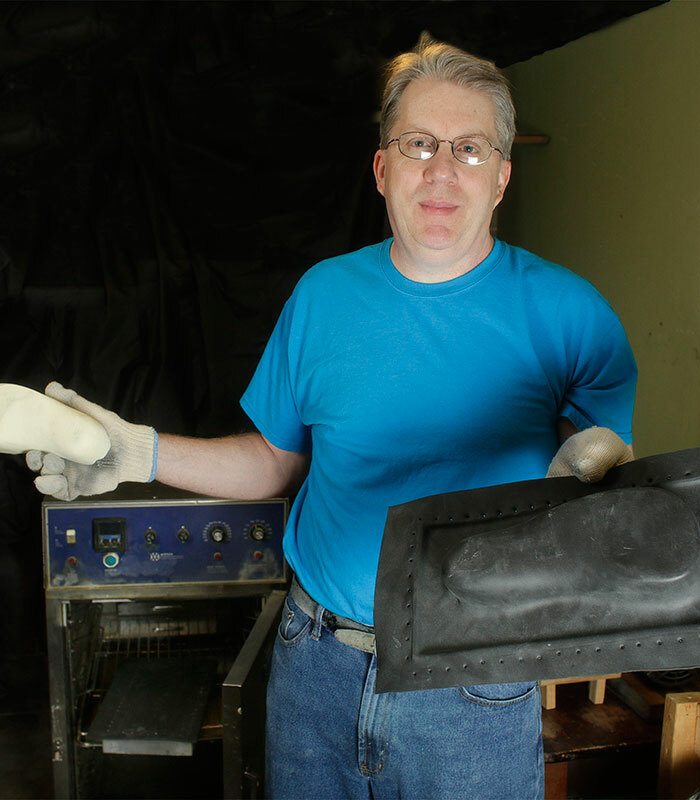 Dr. Coffin makes his orthotics from a variety of non-compressible, flexible materials which he has chosen for the patient’s specific foot condition. He is constantly experimenting with new materials. All of his orthotics are made in his own laboratory and he personally completes several steps including producing an accurate cast and positive replica of the foot in a correct neutral position, as well as finishing the process to create a device which will function well for each patient and their particular needs. Dr. Coffin has experimented with a variety of chemical polymers and has developed materials of the appropriate density and flexibility. He also determines which covering material and shock absorbing materials will perform best for each patient based on their foot type and level of activity. Dr. Coffin has found that the orthotics that are most successful are those made to the length of the sulcus (just beyond the ball of the foot). It is possible to create a full length orthotic; however, many have reported that this tends to scrunch the toes in the toebox area. The three-quarter length allows the big toe to push off more effectively as well. For those who must wear a dressier shoe the majority of the time, it is an option to order leather orthotics which are less bulky and take up less room in the shoe. Dr. Coffin does not utilize hard, plastic orthotics. Here is where the difference lies – most doctors send their casts to a lab. Dr. Coffin has his own orthotics lab. He and his team make 40-70 pair each week. 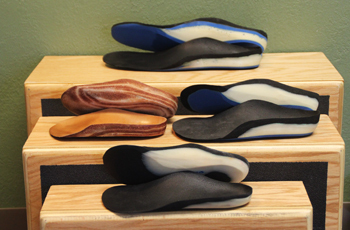 Orthotics can be worn in different types of footgear. They work best in supportive, tie shoes, but they will fit into other selected shoes as well. Depending on the width and depth of the shoe and heel counter, orthotics can be made to fit into some dressier type shoes. Some people order a second pair (at a reduced price) made especially for those shoes. The charge for custom orthotics includes taking impressions, building the orthotics and making adjustments for the first six months. We request a deposit at the time the impressions are taken. 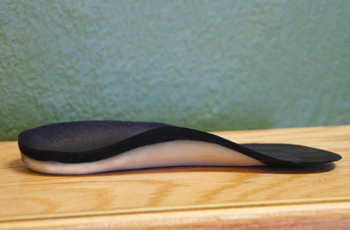 We will submit the claim to your insurance company; however, many insurance companies do not cover orthotics. There will be a separate charge for the office visit which is usually covered by insurance. Patients may request additional pairs of orthotics at a discounted price during the one year storage period. We accept cash, checks or credit cards and will make arrangements for monthly payments. Please call the office for specifics on prices. Most orthotics will last 2-3 years or as many as 5 under normal conditions. Some people such as athletes may need to replace them sooner. Others have worn the same pair of orthotics for ten years or more. People frequently ask if the orthotics are “guaranteed.” As we tell patients, Dr. Coffin will do his best to make you comfortable in your orthotics and address the problems that brought you in to see him. 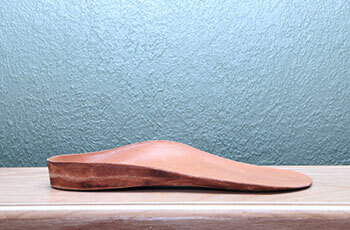 Many times orthotics are just the ticket and relieve the patient of their pain. Other times, the pain is decreased and makes everyday living more tolerable. Dr. Coffin can’t guarantee that everyone will become pain-free. Often a person’s inherited characteristics or previous injury predisposes them to painful conditions such as arthritis or neuropathy. Orthotics may help alleviate some pain but it may be necessary for the patient to continue other modalities such as physical therapy and medication. Custom made orthotics are just that – made for each individual foot – never pulled off a shelf – but started from scratch, molded and shaped to the impression taken of your feet. Taking the impressions correctly is a very important step in the process – one that Dr. Coffin does himself for his own patients. He does trust selected therapists who have studied his techniques for taking semi-weight bearing impressions. It is important to understand the final goal of the orthotic and take the impressions with the feet, knees and hips correctly aligned. We are proud of our workmanship – manufacture of our orthotics involves many steps (21 to be exact) and much of the work is done by hand. Dr. Coffin is very involved in the manufacture and personally completes several steps including creating an accurate cast, selecting materials, creating the specific qualities needed and the finishing of each pair. To maximize their effectiveness, most of Dr. Coffin’s orthotics are “regular,” designed to fit into athletic style shoes or other supportive tie shoes. 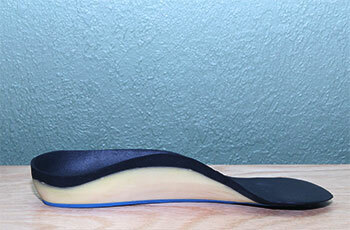 The majority of Dr. Coffin’s orthotics are built three quarter length, easily moved from shoe to shoe. Although we can design thinner, narrower “low profile” orthotics, specifically for boots or slip-ons, they will not be as supportive nor accomplish the original goals. They are a good choice for a second pair of orthotics and can be worn when dressier shoes are mandatory. Keep in mind that there is still some bulk that will push your foot up, especially if the shoe has narrow sides. These orthotics are advised for people who must wear dressier shoes on a regular basis, however, they must be cut down somewhat for a lower profile and some control will be lost. These orthotics may also be recommended as a second pair since they will not provide maximum support. Dr. Coffin will determine the appropriate materials to build the supports, based on his examination of the patient. Some people need softer materials while others need stiffer materials for more support. In some cases, he will advise full length orthotics to solve a particular problem. Dr. Coffin’s flexible, non-compressible orthotics align the joints in their mid-range of motion, allowing the foot to bend and function normally.